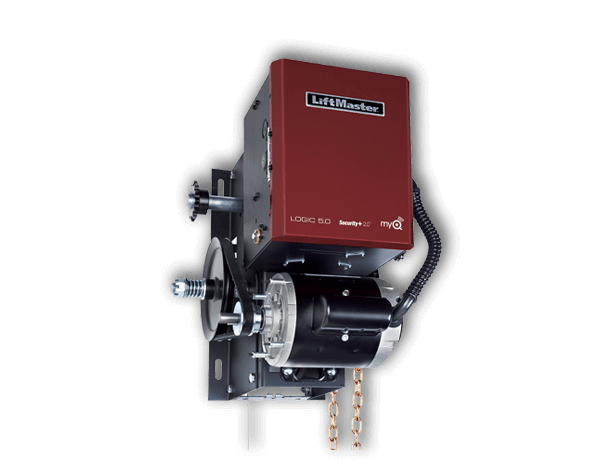 The H model is an industrial-duty hoist door opener, as manufactured by The Chamberlain Group and is for use on vertical or high lift sectional doors, rolling doors and grilles. It is rated for 25 cycles per hour during peak periods. Up to 80-90 cycles / day. The presence of primary entrapment protection is standard CPS-U for all modes. Primary entrapment protection devices are monitored continuously to ensure safe operation of the door and limit door opener functionality should an obstruction be detected or in the event of device failure. Optional LiftMaster Monitored Entrapment Protection devices, CPS-UN4, CPS-RPEN4, and CPS-EI, are designed to work in conjunction with LiftMaster commercial door openers to provide enhanced door safety and a broad range of modes and features to end users. 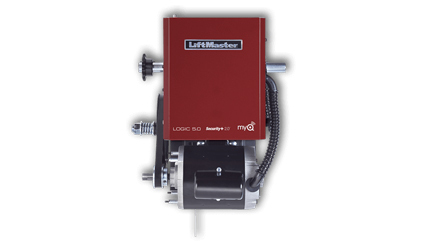 Either monitored photo-sensor or monitored 4-wire sensing edge (in conjunction with the CPS-EI Edge Interface) protection may be selected, but one must be detected by the LiftMaster logic 4.0 or medium-duty logic circuit board in order to unlock full functionality.